“lone eagles” was local–an attempt to describe those professionals “who fly to work as comfortably as most Americans drive, and whose use of computers in business lets them indulge their preference for life in the great outdoors,” as a June 19, 1994 story in the New York Times explained. During my 1984-1985 survey for the state historic preservation plan, everyone probably tired of me touting the wonders of Whitefish, especially its mid-1920s Arts and Crafts/Chalet-styled Great Northern passenger depot and offices, designed by the railroad’s Thomas McMahon. If any building needed to be added to the National Register of Historic Places, it was this one, and not just for its impressive architectural statement. The station along with the railroad tracks defined everything you saw in Whitefish–here in the classic Great Northern T-plan landscape was a classic railroad town–one that old-timers even called the best along the entire line. Whitefish developed and then prospered as a division point on the mainline from 1904 to 1955–and that corporate imprint was still there to be experienced, in 1984. Thankfully in 2015, I still found all of my favorite landmarks from 30 years earlier, even though there was little doubt that the business district had been altered, sometimes in ways that left little original fabric in place but still some two-story brick blocks stood. The Buffalo Cafe remained in business–a mainstay when I worked in the region in the 1980s as was the Palace Bar right around the corner. The Palace dated to c. 1915 and has a wonderful dark wood carved bar from that time–it began as a brewing company and has remained that throughout all of the recent changes. The town still had its historic residential neighborhoods at the foot of Main Street and then both to the east and west. comprising one of the state’s best collections of bungalows, often found in railroad towns of the early 20th century. Perhaps more importantly it still retained some of its distinctive domestic architecture–the railroad tie house (a log house made of railroad ties) and a row of shotgun houses for railroad workers. To all architectural historians who believe that the “shotgun” house is purely a southern thing–look closely: these houses were built quickly and cheaply to serve industrial laborers and can be found throughout the country. Whitefish’s historic Lockridge medical center (1958) designed by Frank Lloyd Wright remains a distinctive modernist landmark within the business district, although now it houses professional offices. It was listed in the National Register in 2012. 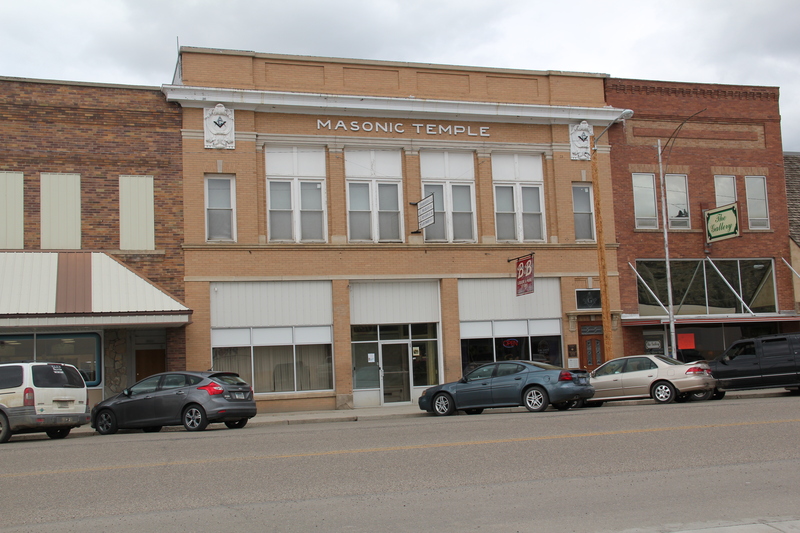 A much earlier landmark, the Classical Revival Masonic Temple from the town’s first decade still stood, and it too found a new use through adaptive reuse. 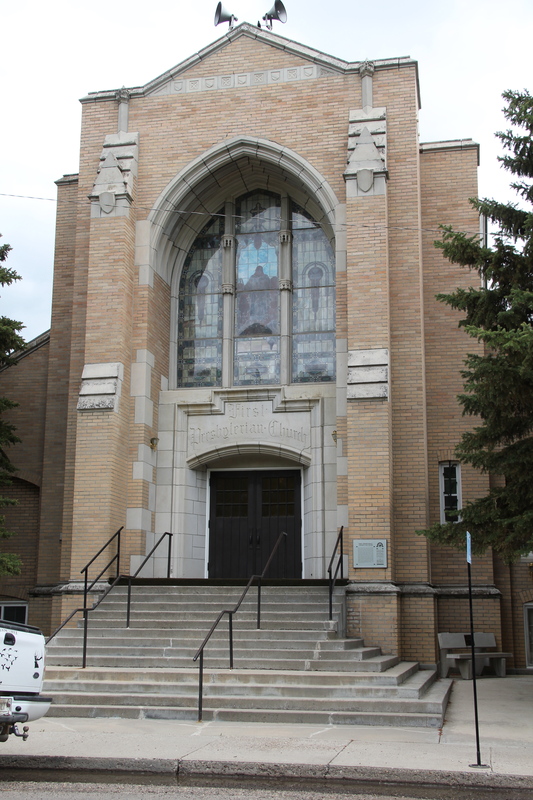 Despite the population boom over the last 30 years, Whitefish still uses its Art Deco-styled school from the New Deal decade of the 1930s, although the auditorium has been restored and updated into a community performing arts center. Certainly my favorite landmark was the Great Northern Railway station, which provided passenger service on the first floor and administrative offices on the second floor. In the last 30 years, the town has significantly enhanced the setting with a city park, various statues and interpretive signage, along with a historic bus that once moved passengers to Kalispell and environs and historic railroad engines. The enhanced railroad station is clearly interested in drawing the attention of travelers who stop here for the nearby ski lodges or for a quick stop before entering Glacier National Park. It is viewed as the town’s center point, its primary attraction–which is as it should be because there are few more compelling Great Northern Railway towns than Whitefish. 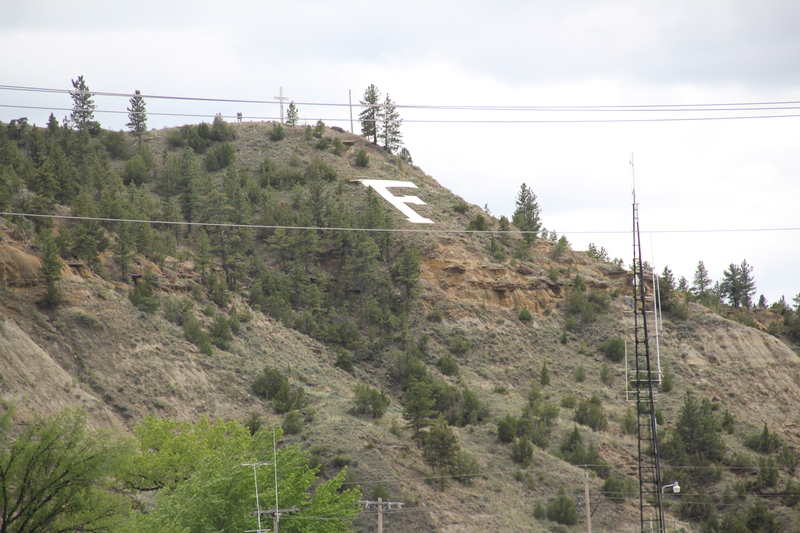 Forsyth, the seat of Rosebud County, has used historic preservation effectively as one of many community assets to guide its economic sustainability over the last 30 years. When I first visited there in 1984, the community had already started to grapple with the impact of the coal mining far south at Decker. The passing of coal trains defined much of rhythms of traffic and life back then. But even 30 years ago, residents were determined to keep their identity and to celebrate their heritage, despite being drawn into a different world. That was impressive–and from 1986 to 1990, they put their commitment into physical terms by listing many properties in the National Register of Historic Places. 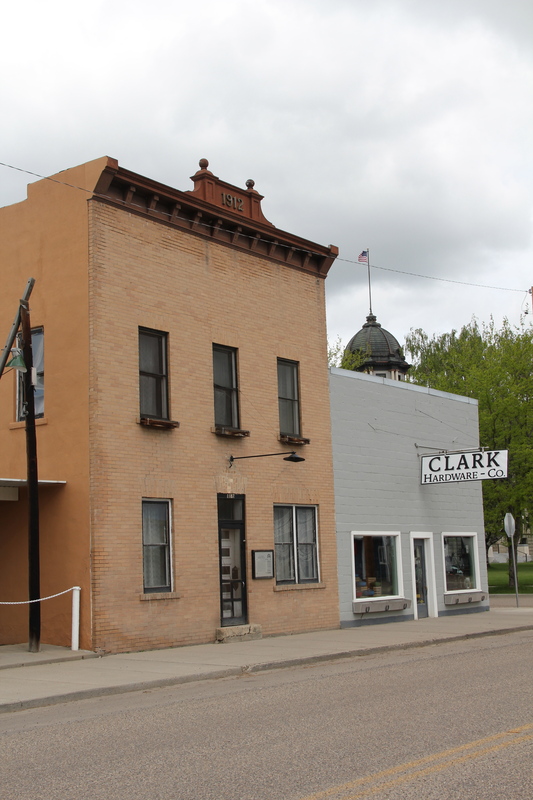 Earlier posts talked about such key heritage institutions as the Rosebud County Courthouse, the adjacent Rosebud County Museum, the Howdy (Commercial) Hotel, and then the adaptive reuse of the Vananda State Bank as new landmark business. 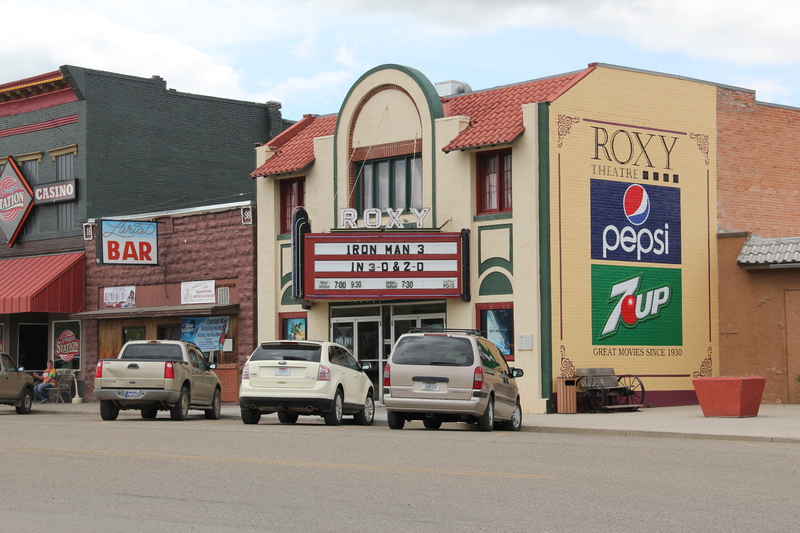 Forsyth also has a downtown commercial historic district, which includes both the hotel, bank, the Roxy Theater shown above, but additional classic Montana two-story commercial buildings, with their understated Victorian or classical cornices. The Masonic Temple, designed by Miles City architect Byrnjulf Rivenes in 1911, served the community in many ways during its formative years, including the town library. 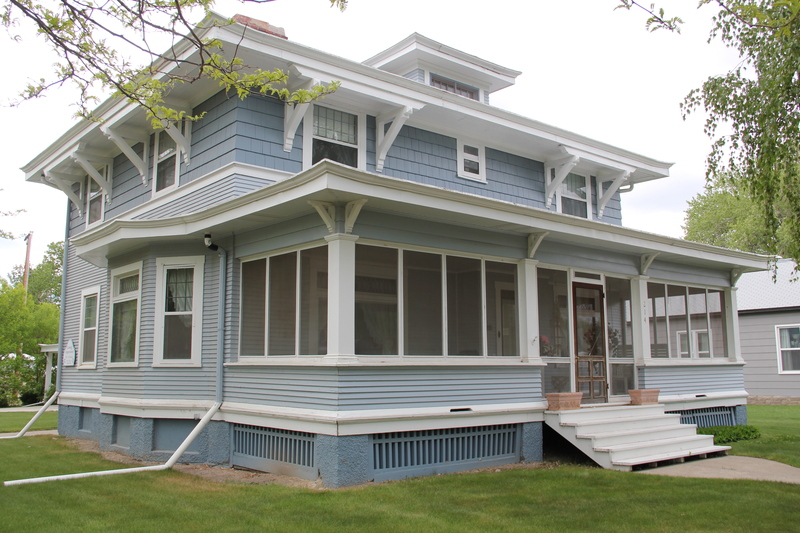 The Blue Front rooming house came in 1912 and served as home for Northern Pacific railroad employees for many years–today it is a remarkably intact example of that type of single-man housing from 100 years ago. Residents also have designated a historic district of their homes and churches that developed in the early 20th century. It is an impressive array of buildings, from the c. 1920 First Presbyterian Church, a Gothic Revival design by Howard Van Doren Shaw of Chicago in partnership with McIver and Cohagen of Billings, to the brilliant Craftsman-style of the McQuistion House (1914) built by Louis Wahl of Forsyth for ranchers Joshua and Grace McQuistion as their “town” home. 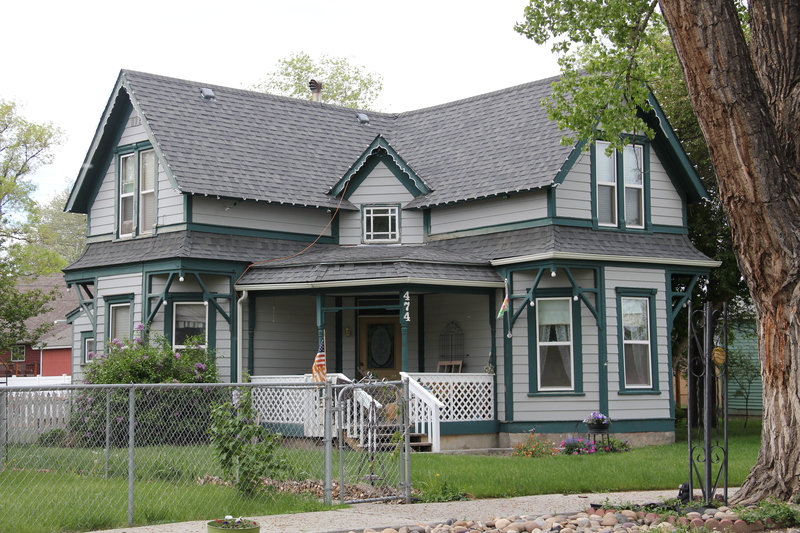 Then there is the 1897 Queen Anne-style house moved to its Forsyth lot by ranchers Robert and Dora Lane in 1909. The Lanes moved on but the house has stayed, becoming over 100 years a real cornerstone to the historic neighborhood. Indeed, that is a theme found throughout town. 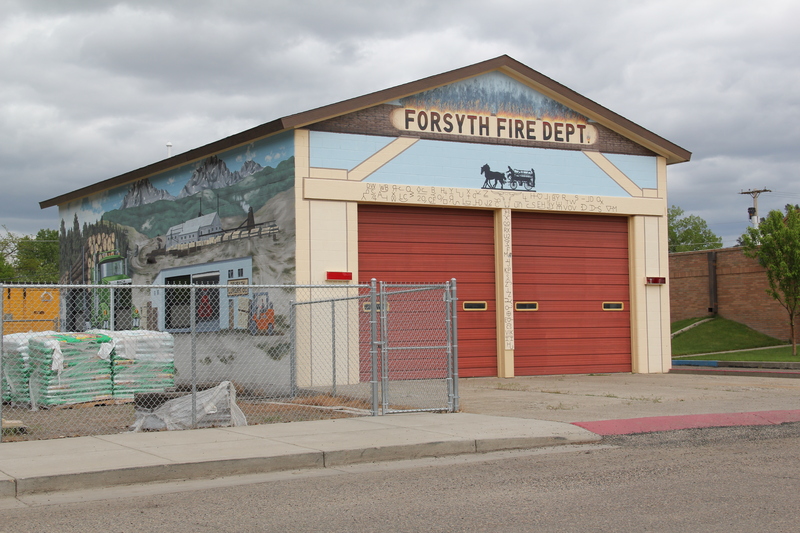 Despite the coal industry that rumbles in the southern end of the county, Forsyth still holds on, and shows pride in, its ranching past. 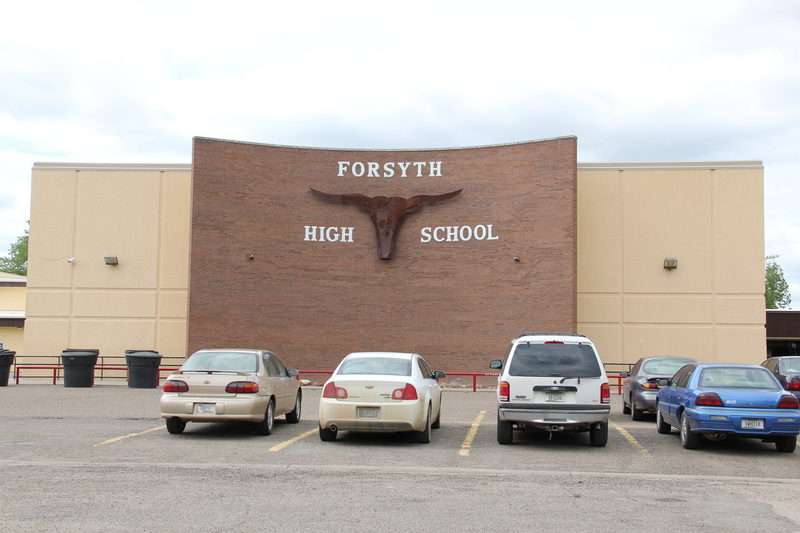 No better emblem can be found than the modern front to the Forsyth high school. answer. Local stubbornness is another. But pride in community as expressed through the town’s many historic preservation projects is another. Forsyth has figured out how to gain a future through an appreciation of the past. Let’s hope others follow their lead.